Since we officially kicked off the new PhysioFIT TRX Facebook page, I thought it was only right to highlight an exercise using the TRX suspension training unit. The power pull is a single-arm, horizontal rowing exercise that also has a great thoracic spine rotation and core stability component. In other words, it works everything! Why I love this exercise is that is mobilizes the thoracic spine, where most people become restricted, and strengthens the support arm, upper back, and core. As always with the TRX, I highly recommend mastering the basic principles of the low row before progressing to the power pull. You should be able to keep the hips in line with the shoulders and feet, knees stay fully extended, and keep the strap taut at all times. Remember, the hips are always extended and never slouch. When rotating towards the ground focus on the thoracic spine doing the movement and not allowing the hips to change. 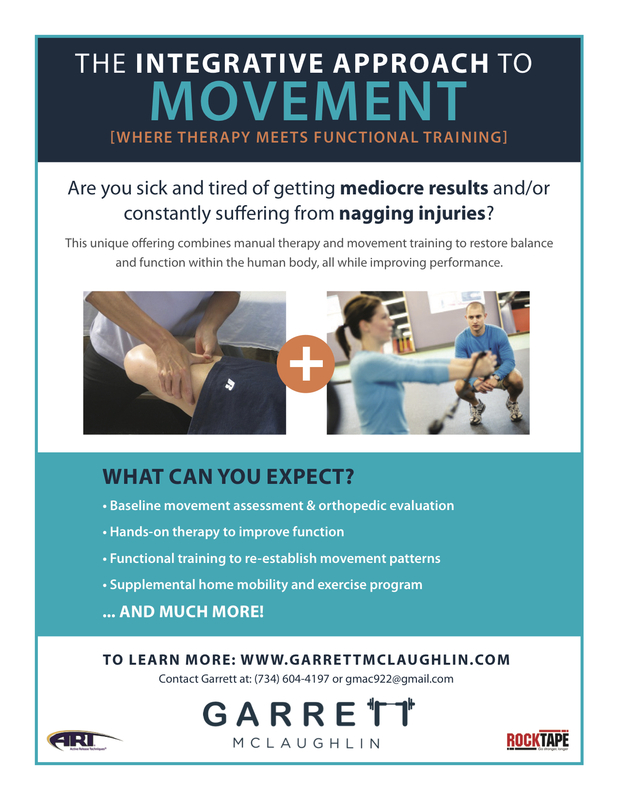 Garrett McLaughlin is an Athletic Trainer and Personal Trainer in Nashville, TN. He creates personal training and injury rehabilitation programs for the general population and athletes. Garrett is passionate about not only working one-on-one with clients, but educating them on health & wellness so they can continue making positive choices throughout their lives. Check out Garrett’s Facebook wellness page for more frequent information.